Everybody knows what a chair lift is, especially if they have elderly relatives who live in 2-story homes. But that wasn't always the case. We know that chair lifts have been around for a long time, but they haven't been used as much as they are today. And we have to differentiate between chairlifts that are used to transport people in mountainous regions and lifts that function as a home stair lift in New Orleans. Fausto Veranzio is credited with designing the first passenger ropeway in 1616. However, Adam Wybe from the Netherlands actually built the first operational system in 1644. Not surprisingly, the technology advanced quickly with the availability of wire rope and electric drive. These chair lifts found widespread use through the Alpine regions of Europe. Much later during World War I, these types of lifts were used at the front lines between Austria and Italy. But it wasn't until 1936 that the first ski lift was developed. We think that skiing wouldn't have the same popularity today if it required hiking up the mountain before each glorious descent. In fact, we're pretty sure that every skier is thankful for ski lifts. Stairlifts were created before ski lifts were invented. In 1920, C. C. Crispen created a stair lift for his friend who was unable to go up and down the stairs. It consisted of an inclined chair that could travel from floor to floor. He called it the "Inclin-ator". By this time, one Frederick Muffett of Royal Tunbridge Wells had already recorded a patent for "An Invalid Chair with Tramway for Use on Staircases." The interesting thing is that neither of them was really the first one to have that idea. Surprisingly, a historian discovered in 2009 that Henry VIII must have used a stair lift at the end of his reign. 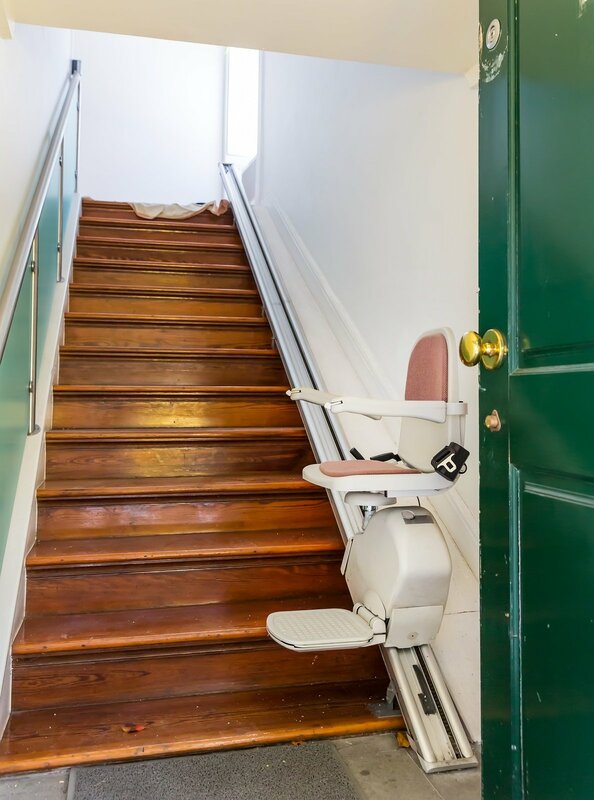 Unlike modern chair lifts for seniors in New Orleans, King Henry's stair lift was built on a block and tackle system and required several servants to help him up and down the stairs. This was not an easy feat, because Henry VIII was 6'2" tall and weighed about 390 lbs. Modern chairlifts in New Orleans are very different from historic chair lifts. While the idea of transporting an individual and maybe a few items up and down the stairs is the same, the execution is very different. 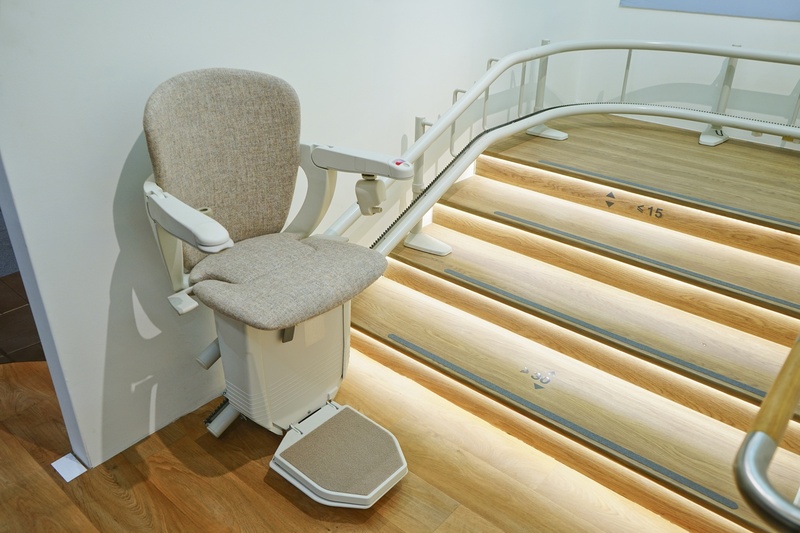 The stair lift installation in New Orleans requires careful planning to ensure that the individual is safe. Safety features in place prevent the person using the chair lift from falling out or getting hurt. And since it's run electrically, it's a smooth ride, probably much smoother than the stair lift Henry VIII relied on. When we talk about handicap lift chairs in New Orleans today, we know that safety is the most important feature. For example, if there is an obstruction, then the lift automatically stops and only travels away from the obstruction. This is done with safety edges. If he could have had access to modern chair lifts for seniors in New Orleans, Henry VIII might have cried for joy.